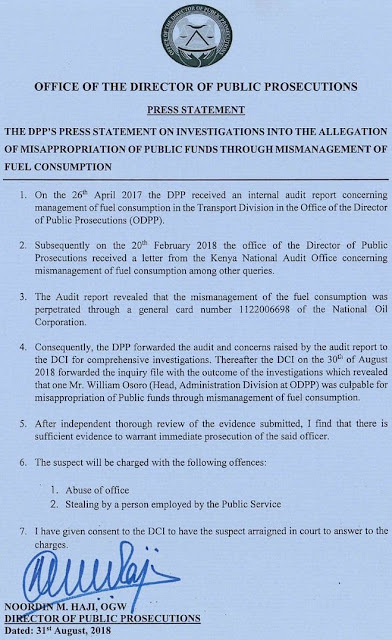 Friday August 31, 2018 - Director of Public Prosecutions, Nordin Haji, ordered the arrest of the Head of Transport Division at his office for allegedly stealing Sh 7.9 million. In a statement to the press on Friday, Haji said that he is convinced that William Osoro has been stealing lubricants and fuel assigned to the office of DPP. “The suspect will be charged with abuse of office and stealing by a person employed in public service,” Haji said in the statement. 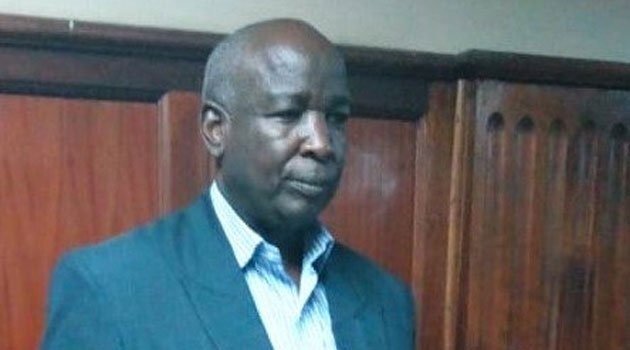 Osoro appeared in court on Friday and was released on a Sh 600,000 bail. He was also suspended from his job until his case is heard and determined. Haji has asked the Criminal Investigations Department (CID) to investigate prosecutors from his office because many are corrupt and have been receiving bribes from suspects. In an interview with Reuters last month, Haji said he wants to work with clean men and women in his office and he is ready to send to jail any employee in his office who engages in acts of corruption.